Rapid changes in healthcare lead to higher expectations from the largest part of the healthcare team. 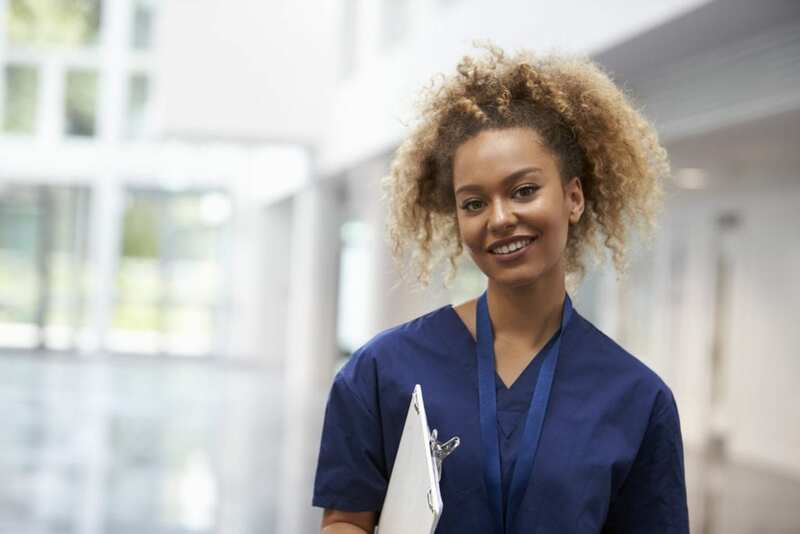 Loftier credentialing expectations drive registered nurses with an associate’s degree to enroll in RN to BSN programs to secure a bachelor’s degree. When the Institute of Medicine (IOM) released the Future of Nursing Report in 2010 and recommended that 80 percent of the nursing workforce hold a BSN degree by 2020, only 30 percent of practicing nurses held the advanced degree. Today, close to 65 percent of nurses have a BSN degree. Several published studies reveal a reduction in morbidity and mortality rates when the majority of nurses on a unit hold a baccalaureate degree or above. Getting a bachelor’s degree in nursing takes longer and costs more than an associate’s degree. This is the primary reason most students opt for the associate’s degree for entry into nursing. A nurse who has a family to care for may not want to go back to school, especially if she is making a decent income right now. But as hospital systems in Oregon require nurses to possess a BSN as a condition of hire or continued employment, enrollment in RN to BSN programs will gain considerable momentum. Although the advanced study won’t improve nurses’ bedside skills, it will change how they think as a nurse and how they analyze complex situations. They become better nurses, and from the perspective of a hospital employer, it makes a more capable and competent staff. There are currently no state legislatures requiring a bachelor’s degree for licensure as a registered nurse. However, as hospitals and other employers seek to implement a standard, it is the right time for securing the additional training that would place you on the cutting edge of nursing. Research makes it clear: Nurses need a BSN degree. The RN to BSN program provides the additional coursework that nurses need to develop problem-solving skills and a better understanding of the social, political, cultural, and economic factors that impact patients and influence health care delivery. Apart from serving patients effectively, the BSN also supports nurses’ plans for professional development as it sets the foundation for future specialties. Legislators are taking the IOM’s recommendation to heart, and the BSN degree may be a requirement to practice nursing in the future. Although there are no state laws mandating the degree, many hospital systems are already on board. Therefore, a BSN degree will help you to qualify for more nursing jobs and better salaries. The Magnet Recognition Program, devised by the American Nurses Credentialing Center, draws consumers’ attention to the best healthcare facilities. To obtain Magnet status, a hospital’s nurse managers must have a BSN or higher and more than 50% of nurses participating in direct patient care must have a BSN. In an effort to achieve and maintain the coveted status, a hospital’s administration will be inclined to hire more BSNs and offer incentives for current nurses to continue their education. As hospitals raise the standards, competition for jobs and opportunities for career advancement will rise. Professional development should be on the mind of every registered nurse as it increases their proficiency in direct patient care and improves patient outcomes. According to the American Association of Colleges of Nursing, nurses with a BSN or graduate degree experience lower patient mortality rates, lower failure-to-rescue-rates, and better proficiency at making diagnosis and nursing intervention. BSN graduates tend to keep up with the rapid evolution of new technologies that are a common facet of modern hospital systems. To apply for management role or supervisory nursing position, you must have a BSN degree. The opportunity for career advancement is the primary reason many nurses face the challenge of returning to school. With a sizeable pool of qualified BSN candidates to choose from, hospital administrations can assign managerial duties to the one best qualified. Having a BSN degree will put you in place for such a role when the opportunity arises. RN to BSN programs include a research component that paints nursing as in evolving profession. Graduates understand the importance of developing new knowledge and skills – which are readily available. Associate degree nurses rarely have the research experience of baccalaureate-educated nurses and do not utilize the wealth of knowledge available to improve patient care. Employers want their registered nurse employees to integrate advanced nursing knowledge and use their evaluation and research skills to improve proficiency. Advanced practice nursing is a logical step for more than 15 percent of registered nurses. A rise in demand for primary care providers means more employment prospects and better salaries as well as the opportunity to work independently to evaluate, diagnose, and treat patients. Advanced practice nursing also provides an outlet to serve those in need to primary care in medically underserved and rural areas. Earning salaries of $75,000 and upwards annually, advanced practice nurses can function in many roles and serve any number of patient populations for which they’re trained and certified. Oregon licenses three types of advanced practice registered nurses: nurse practitioners, clinical nurse specialist, and certified registered nurse anesthetist. A BSN degree won’t qualify a nurse to practice at this advanced level. However, it is required for enrolling in a graduate nursing program where the student plans to specialize in an area of practice. RN to BSN programs give working nurses the flexibility to continue their education without neglecting their work and family commitments. The flexible online learning supports self-paced study allowing students to complete the program as quickly as their schedule permits. Graduates reap the tangible benefits outlined above, but a sense of accomplishment, broader perspective of patient care, and confidence in their ability to direct their career path. The Oregon Consortium for Nursing Education (OCNE) enables nursing students to transition from an associate’s degree to bachelor’s of science in nursing seamlessly. If you graduated from a partner school, you could complete the BSN requirements in just three semesters. Through the OCNE, you can complete RN to BSN in person in just three semesters. However, you must transition within the first year after graduating with an associate’s degree. The most popular option is to complete the RN to BSN online. Full-time students complete the requirements for three semesters, and part-time students need six semesters to complete the program. The shortage of nursing faculty in Oregon limits enrollment in many universities. Enrollment is competitive as universities receive approximately 960 applications annually and are only able to accept 150 applicants. Your completed application, grades and experience may determine your ability to enter the program. Tuition varies depending on the school and schedule. Always factor in the cost of textbooks, supplies, fees, and whether financial aid is available. Remember, the tuition at public schools is sometimes lower than private schools. Employer reimbursement or assistance will help to significantly reduce your expenses.